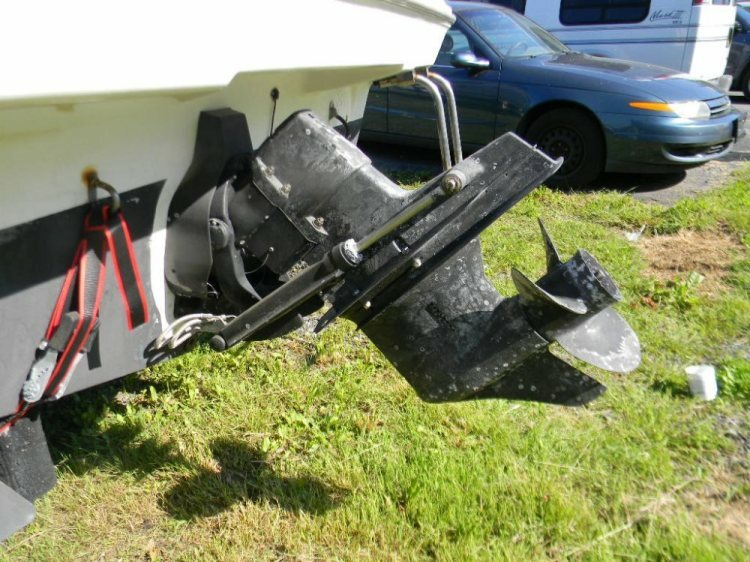 Length: 23 ft. 0 in. 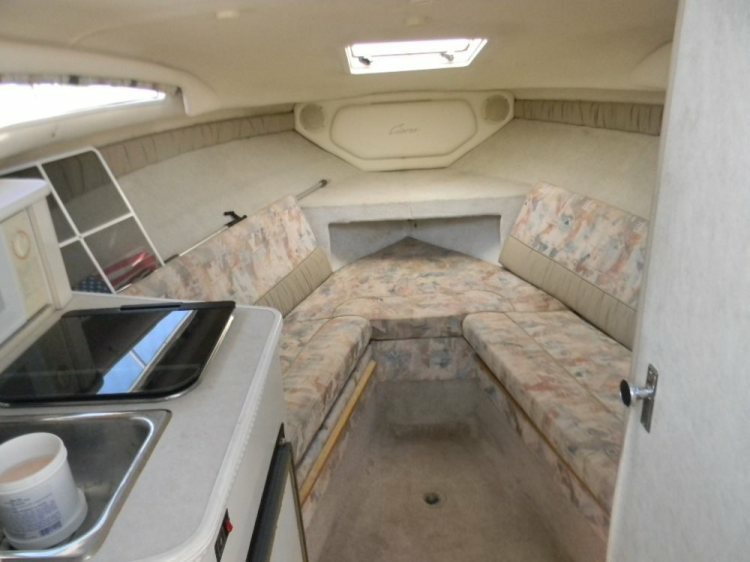 Here is a pocket cruiser from Bayliner Boats that you can enjoy for a day an overnight or a weekend on the water without breaking the bank!, It comes equipped with all the dockside and shore power amenities, like sink, stove, fridge and microwave oven. The boat will sleep four people comfortably. 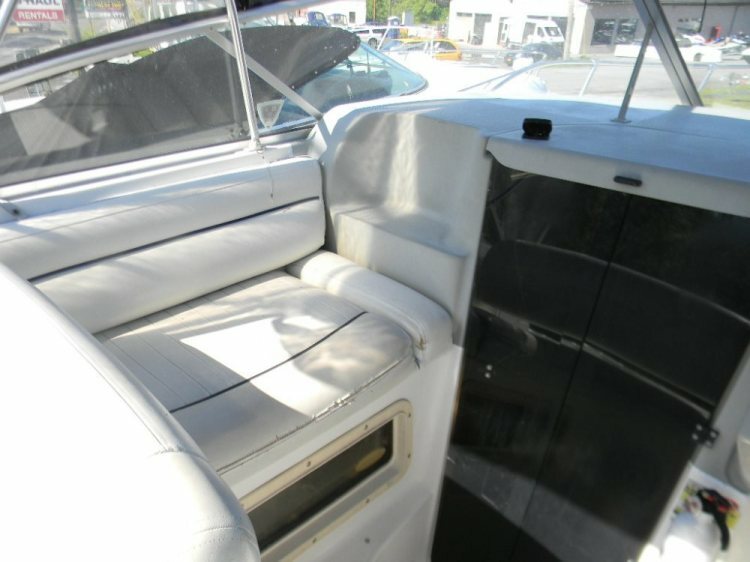 Below deck there is also an enclosed head with a marine toilet with pump out . At the helm you have an easy to use dash panel with all your gauges to monitor all your engine and navigation functions. 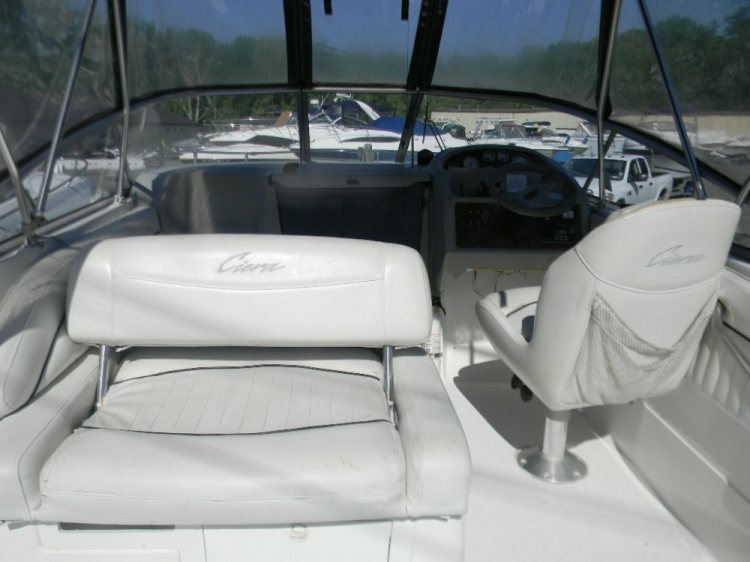 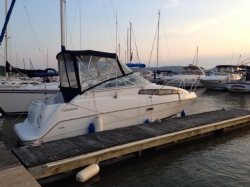 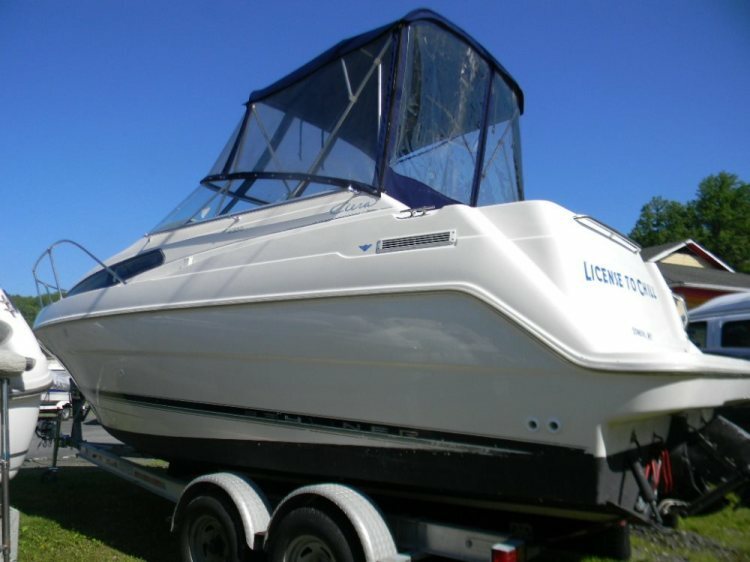 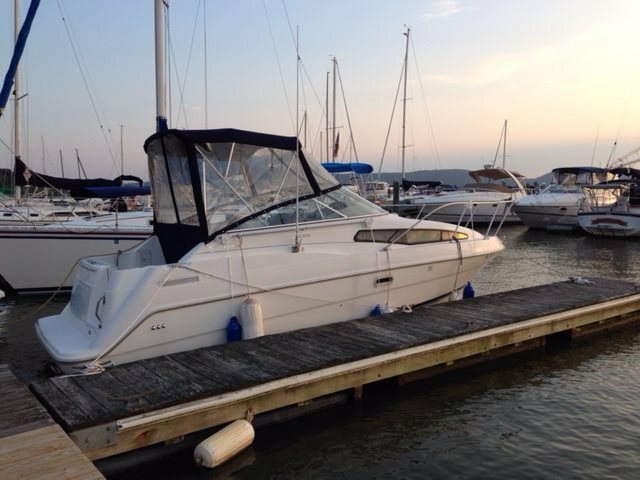 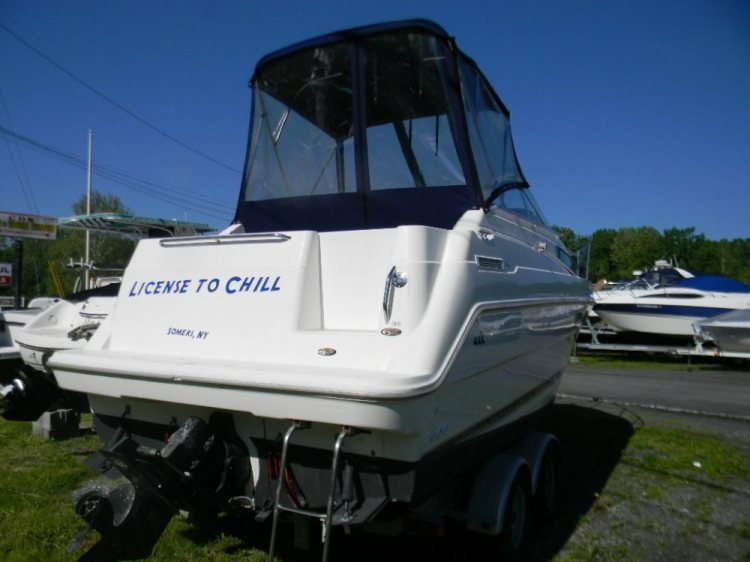 It is equipped with a VHF marine radio, in dash depth finder, compass, trim tabs and a GPS. 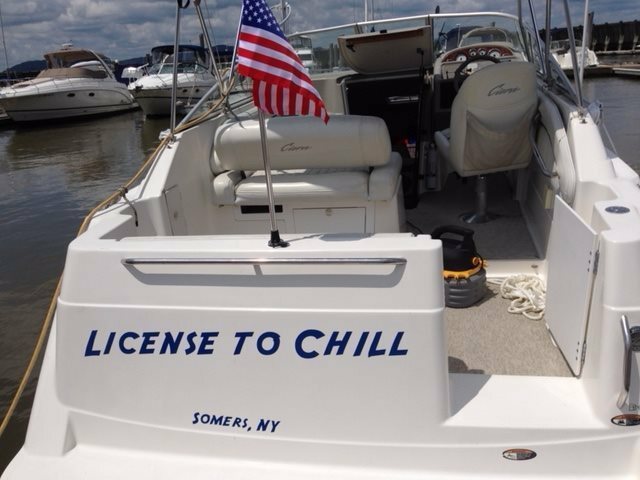 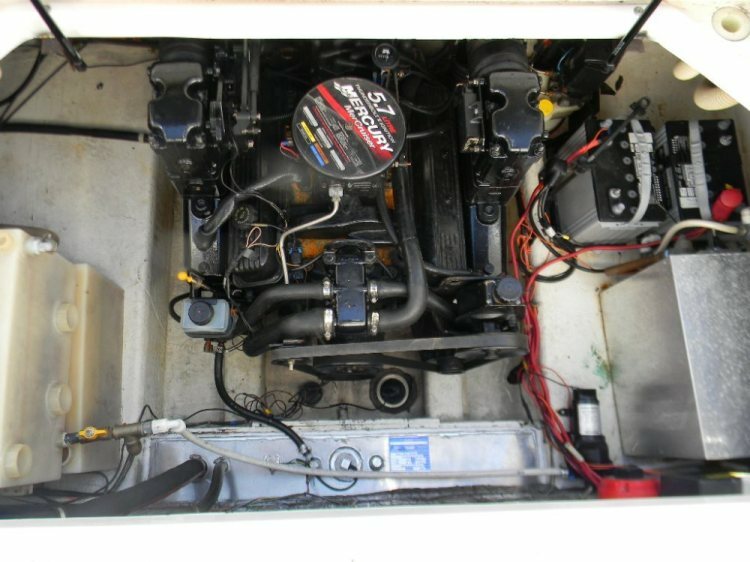 This boat is powered by the Mercruiser 5.7 V-8. 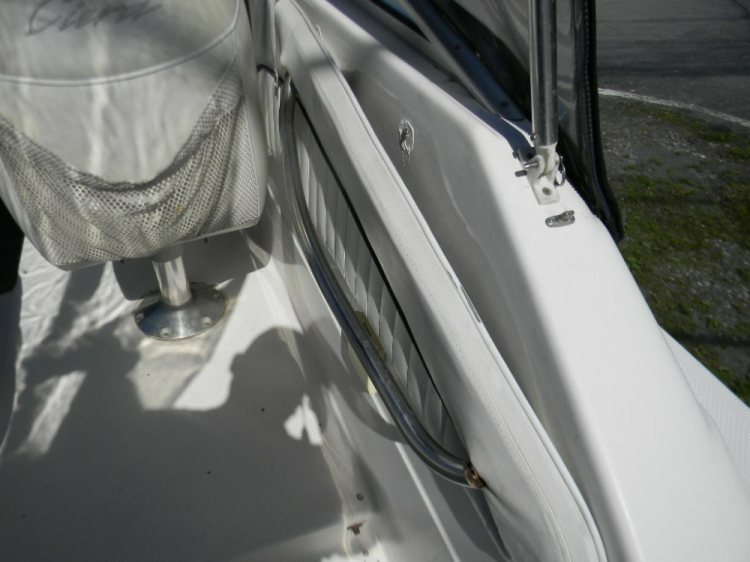 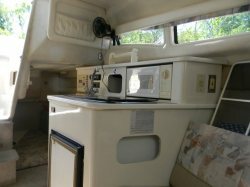 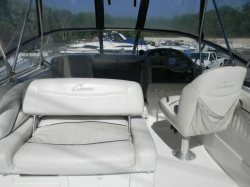 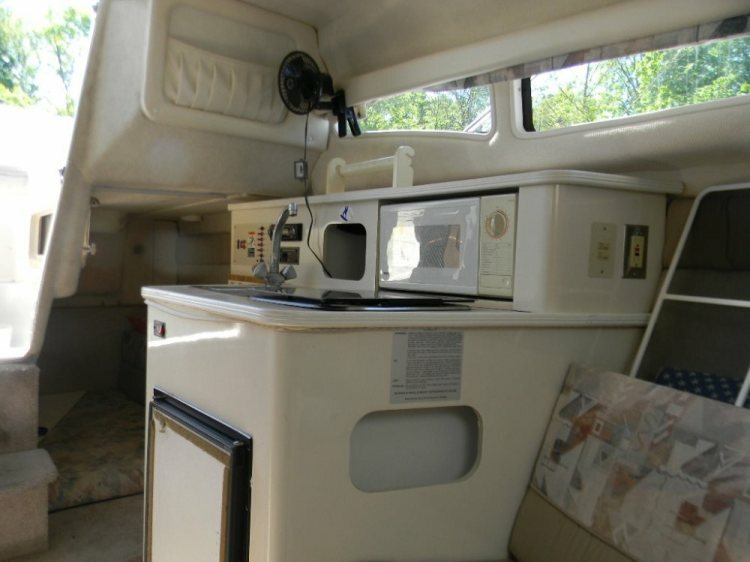 There is a full canvas package which includes a bimini top, side curtains, windshield visor and a cruise curtain. 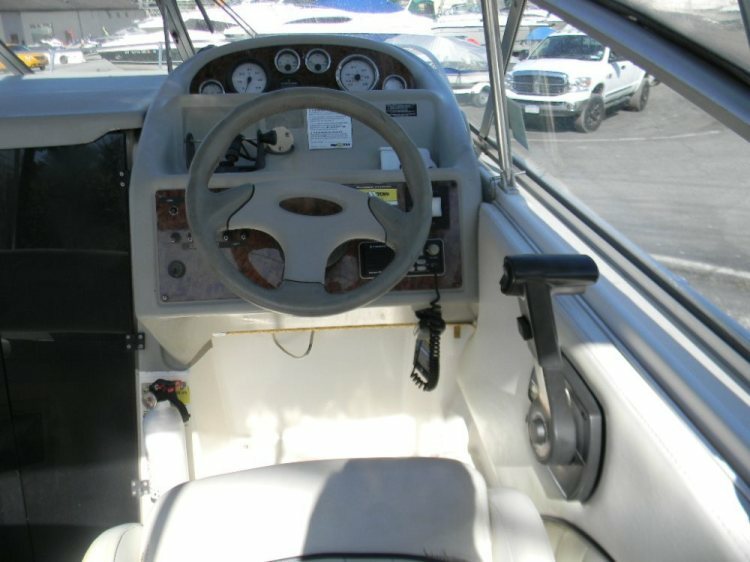 The cockpit layout features a port side lounger with a reversible back rest, stow away stern seat and a single helm chair. 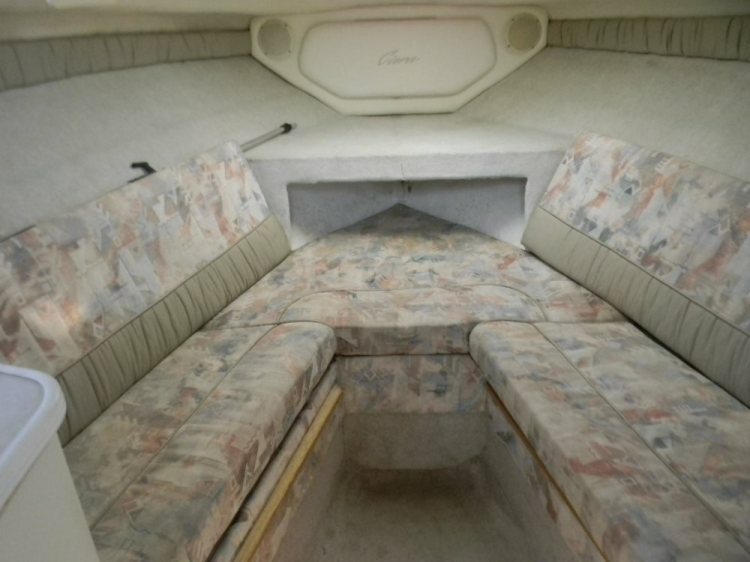 To make this package complete, it comes with a tandem axle Venture trailer. This boat is at our location and can be seen. 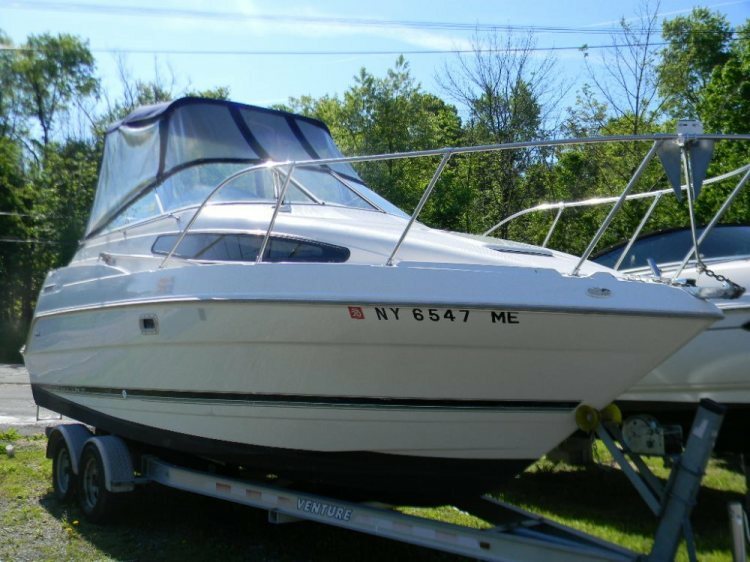 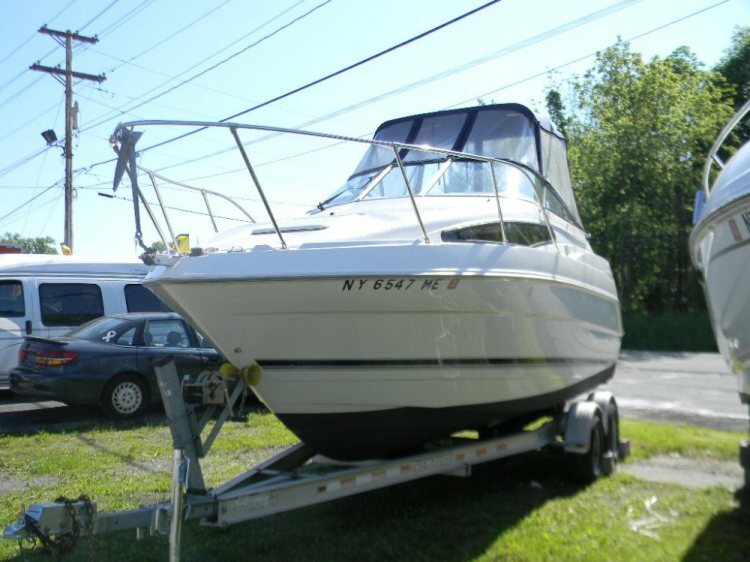 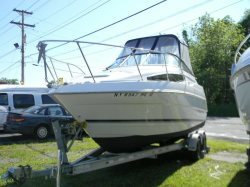 Stop by today at STORMKINGMARINE IN NEW WINDSOR, NEW YORK 12553 to check this one out!